Nestled among Vermont’s beautiful mountains, Dover Watch at Mount Snow offers a variety of activities throughout the year. These two-story townhouses, built in the 1980’s, are well maintained and clean - offering a vacation home experience while you are on your getaway. The resort community provides excellent skiing during the winter and a lake with water activities and golf during the summer. 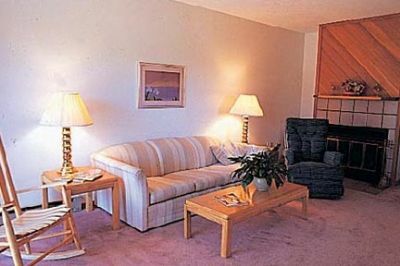 These Vermont timeshare resales offer two bedroom units at Dover Watch at Mount Snow. These units provide sleeping arrangements for two to six people and feature two and a half bathrooms. During the winter months, guests can enjoy the fireplace and sauna after spending the day on the snowy mountains. A full kitchen with dishwasher makes creating delicious family meals easy and fun. A washer and dryer in the unit is convenient so you can pack light. All units offer new HD flat screen televisions and Wi-fi is available. No matter what time of year you visit Mount Snow – you will enjoy the comfort and peaceful location of this resort. Activities offered on Mount Snow include skiing, snowmobile trails, and a variety of outdoor winter activities when visiting during the winter months. Guests who visit in the summer can enjoy hiking and biking or spending a day on the scenic golf course located nearby. During the Fall, take a road trip to enjoy the beautiful New England foliage while touring the quaint towns and villages of Vermont. 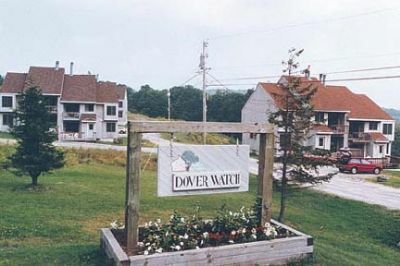 If you enjoy shopping and trying different types of restaurants, Dover Watch is the perfect place to stay while you explore the area. About three and a half hours from NYC or Boston, Dover Watch at Mount Snow is an excellent location to take advantage of New England sights and activities. Vermont timeshare resales can help you find the perfect unit to accommodate your family with the amenities you are looking for in a resort that provides entertainment for all ages. Whether you are looking forward to a friendly golf game, hiking through the mountains, or sledding in soft snow and beautiful scenery, Dover Watch offers everything you need to make memories with your family. Contact Dover Watch at Mount Snow Specialist Today!